Wow! 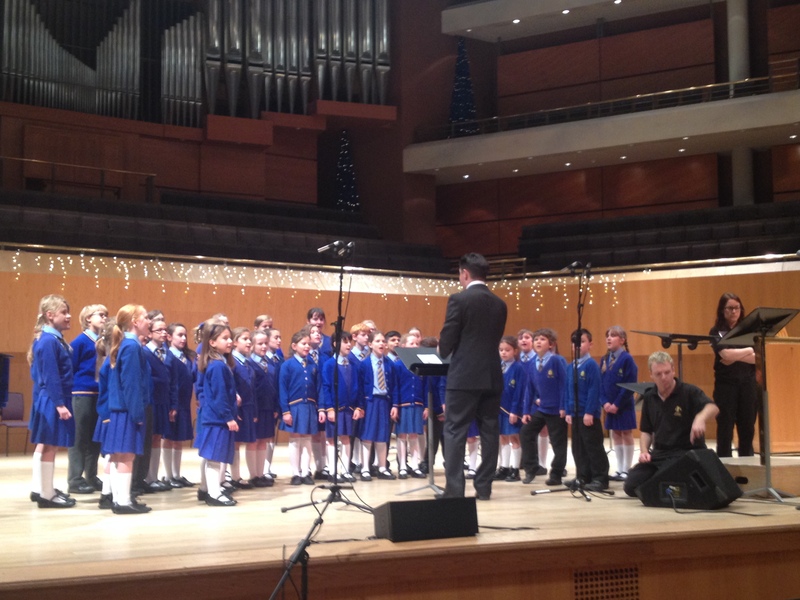 What a fantastic performance by our School Choir at this years Bolton Schools Music Association Muisc Festival! 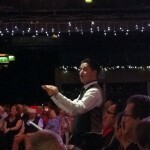 The choir sang school favourite, One little voice and Mr Postman. 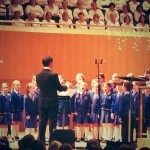 Our soloists on the evening were Hayley, Emily, Libby and Isabelle. They did a fantastic job! 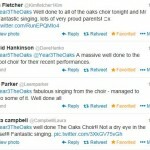 The Oaks School Choir have been very busy this week with two outstanding performances on Monday and Tuesday night. 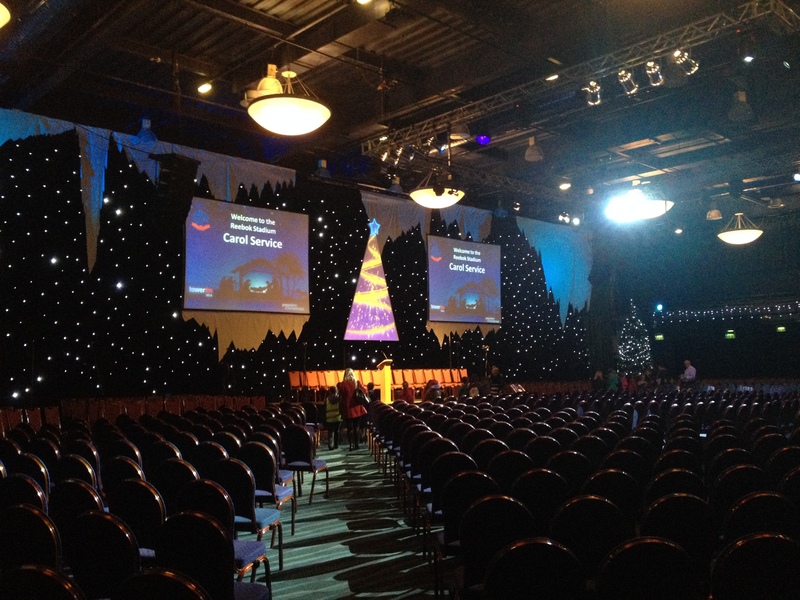 Their performance at Bolton Wanderers Carol Service was very exciting as they got to sing with 100 other children from across Bolton. 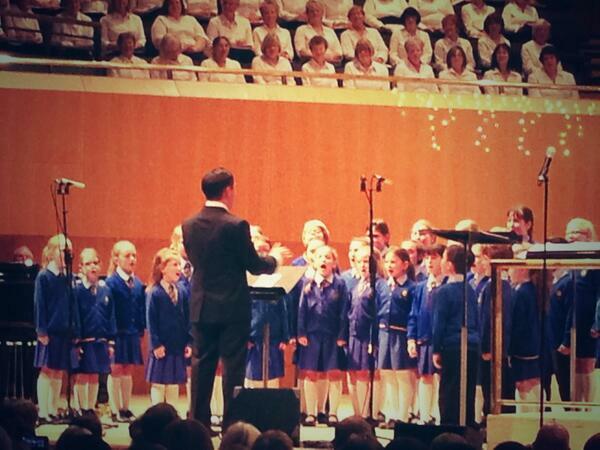 The Bridgewater Hall concert was in aid of CLIC Sargent and they performed as guest school choir to 1200 people! 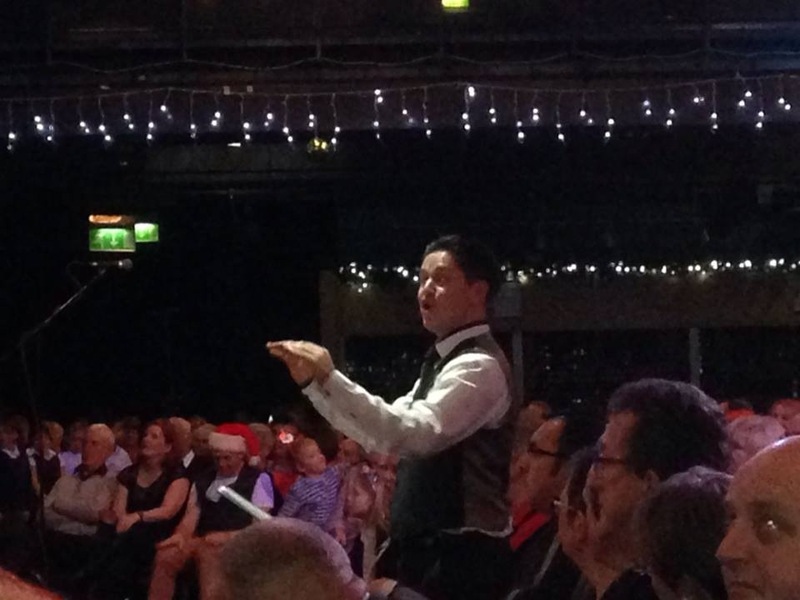 The choir had their own dressing room and got to perform all on their own. 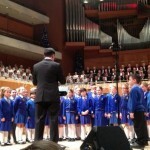 The children were very professional and sang beautifully, even making Mr Hampson cry! 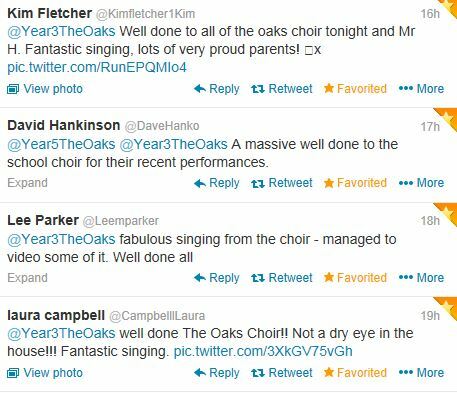 The Oaks School Choir look forward to singing at other events in the New Year. Mr Hampson would like to say a BIG thankyou to all parents, carers, grandparents and friends for all their support during our busy Christmas season and wishes you all a very Merry Chirstmas and Happy New Year! 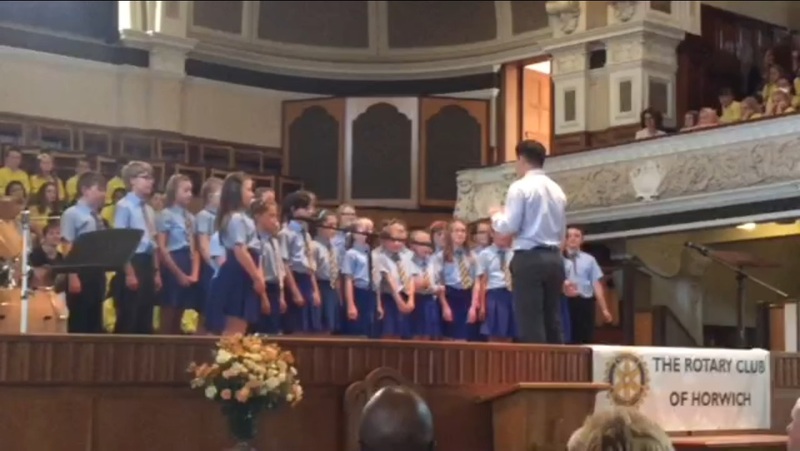 School Choir – Christmas is coming!!! Here are all the words if you cant remember them! 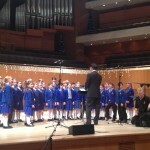 On Friday 14th June the School Choir and School String’s performed at the BSMA Music Festival. They were ABSOLUTELY FANTASTIC! 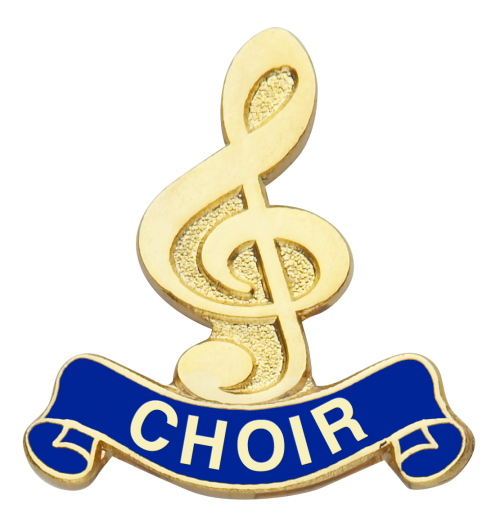 The choir sang two songs, Your Song by Elton John and You Stole My Heart. 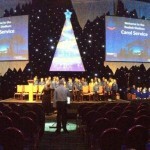 The strings accompanied one of the mass songs sung by over 400 children from ten different Bolton primary schools. 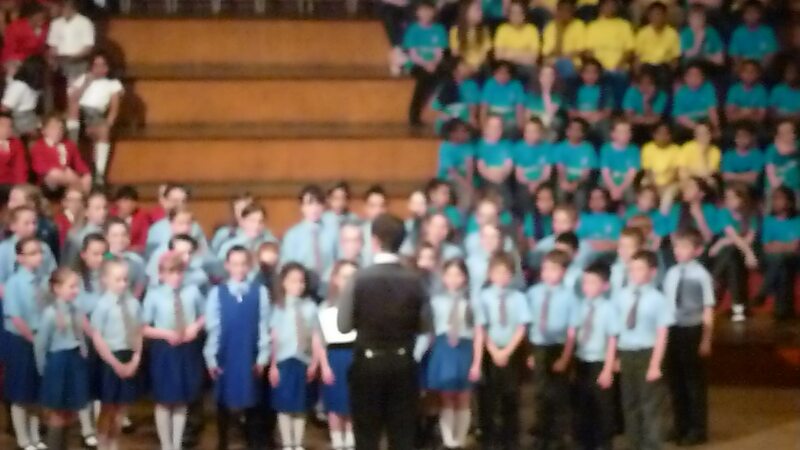 Mr Hampson was so proud of every child involved for their brilliant performance, professional attitude and commitment! 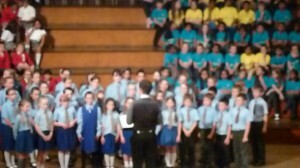 Not only did they sing 2 songs on their own but they also sang 7 other songs with the other schools. 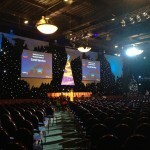 All the children had a fantastic night and were gleaming with pride as they left the stage! A special thanks goes to all our Parents! Without your support events like this wouldn’t be so wonderful! 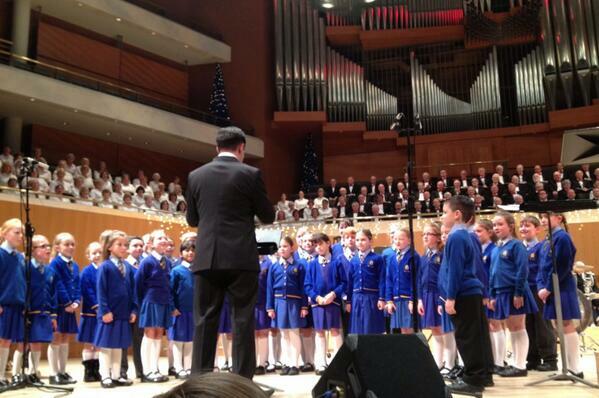 Have a look at the pictures here to see the children in action!